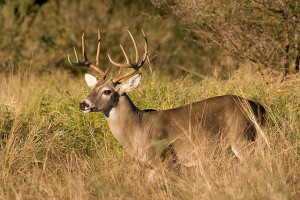 If early field reports by bow hunters and those hunting on Managed Lands Deer Permit properties are a sign of things to come, Texas hunters should see deer in good condition and above average numbers of mature bucks when the general season kicks off Nov. 1 statewide. Cain noted he’s received several reports indicating decent antler quality this year so hunters should be in for a nice surprise with the quality of bucks they are seeing. The general season runs through Jan. 4, 2015 in the 209 counties that comprise the North Zone and through Jan. 18, 2015 in the 30 counties of the South Zone. For county specific regulations, check the 2014-15 Outdoor Annual — Texas Hunting and Fishing Regulations available at hunting license sales outlets, online at www.tpwd.state.tx.us and as a free mobile app download on iOS and Android platforms at www.txoutdoorannual.com/app. When it comes to deer, wildlife biologists use rainfall as a barometer for gauging hunting season because of the direct correlation between rainfall and impacts to habitat during certain times of the year (primarily as it relates to nutrition and cover deer need). Rainfall or a lack thereof can significantly impact deer body condition, antler quality and fawn production – the end results are what hunters see each fall. According to Cain, mast crops (acorns, mesquite beans, etc.) that provide a good forage resource to help deer meet the demands of raising fawns and growing antlers during the stressful part of the summer have been in good supply this year. Those native food sources appear to be carrying over into the fall, which means some hunters may have to contend with native food sources competing with artificial feeders early in the season. Texas whitetail population estimates have remained fairly stable over the last few decades at around 4 million deer. Hunters can expect to see about the same number of deer as in 2013. Bottom line from a hunter perspective is there will be plenty of animals to pursue. This entry was posted on Monday, November 10th, 2014 at 10:53 am	and is filed under News & Updates. You can follow any responses to this entry through the RSS 2.0 feed. Both comments and pings are currently closed.